Easterbister Cottage has a rich family history dating back as far as 1492, with the Laughton family farming the land, giving the cottage a real home-from-home feeling. Located in the parish of Holm, Easterbister is your gateway to the Churchill Barriers and the magnificent Italian Chapel, as well as the remains of the scuttled German fleet sank in Scapa Flow. A luxury country cottage located on a working farm, Easterbister boasts spectacular views in a peaceful location in the heart of Holm. There is an abundance of wildlife in the area including birds of prey, rabbits, hares and being situated on a working farm,(depending on the time of year) new born calves and lambs. On arrival, guests will be greeted with a welcome pack, including local Orkney produce and eggs from the hens at Easterbister Farm. Renovated to a high, modern standard, Easterbister offers light and spacious self-catering accommodation, with adjoining conservatory, perfect for relaxing and taking in the rural views. Exceptional care is taken to maintain a high standard of cleanliness throughout the property. Easterbister cottage is in walking distance of local village St.Mary's, which hosts a well-stocked shop and post office, restaurant, bar and football pitch. It is also located on the main road, with a regular bus service to Kirkwall only 6 miles away for anything else you may require. 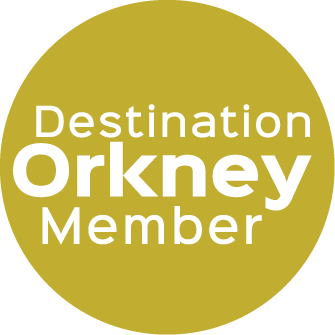 A stay at Easterbister cottage is guaranteed to enhance your visit to Orkney and make you want to return over and over again.